BALTIMORE (CNS) -- Dressed in penitential purple vestments, Cardinal Daniel N. DiNardo of Galveston-Houston, president of the U.S. Conference of Catholic Bishops, led the bishops of the United States in a Mass Nov. 12 to open their fall general assembly in Baltimore. In his homily for the Mass, Archbishop Bernard A. Hebda of St. Paul and Minneapolis said that providence provided inspirational readings for the day on the appropriate patronal feast of St. Josephat, a 16th-century "brother bishop who gave his life for his sheep." St. Josephat "was put to death for his steadfast commitment to church unity," the archbishop said. In the Gospel reading for the day from the 17th chapter of Luke, Jesus tells his disciples: "Things that cause sin will inevitably occur, but woe to the one through whom they occur. It would be better for him if a millstone were put around his neck and he be thrown into the sea than for him to cause one of these little ones to sin." The archbishop said two prayers for the feast day were appropriate: The first is a prayer for the strength to lay down our lives for others; the second is a prayer to follow St. Josephat's example "so that we might willingly spend our lives working for the honor and unity of the church." Reflecting on the first prayer, Archbishop Hebda said, "It is not a prayer for 'save our own hides' strength, but rather it's a prayer for strength to make the sacrifices we need in order to put our flock first, the strength that is tied to love, that is sourced in love." He said the bishops must have love in their hearts for those who have been harmed. He thanked by name the two victim-survivors who gave reflections for the bishops during the day of prayer, Teresa Pitt Green and Luis A. Torres Jr., who were "wounded by their experiences with priests," he said. "I know you to be compassionate men. I trust that your hearts were moved by their stories -- stories repeated all too often throughout our church." Archbishop Hebda said the bishops have to be "strong enough to stand with Teresa and Luis and all those who share their stories with us, not afraid to look into the wound that has been inflicted on them and on the body of Christ." The archbishop said that one of his frequent critics in his archdiocese reflects on Caravaggio's painting "The Incredulity of Thomas," in which the apostle is seen putting his finger into the wound in Christ's side. He said his critic says that the bishops have to live "at the lip of the wound in the modern-day body of Christ." Like St. Josephat, the bishops need to have "the same deep love to accompany our brothers and sisters into the wound so that they and we might experience the healing that Christ desires for those who have been hurt -- the healing that Christ desires for his church and from his church." "Might I suggest that we be ask that we blessed with the strength in these days to admit those errors and lapses in judgment that caused the types of harm that Teresa and Luis described. The strength to tell the truth. The strength to come clean. The strength to admit our weaknesses and ask for help." Archbishop Hebda said he was pleased that Pitt Green and Torres were able to talk about some of the good that has come about in the church since the bishops passed the "Charter for the Protection of Children and Young People" in 2002, whether in the form of protection of children or in victim assistance. "That should give us hope, brothers," he said, "that our efforts can make a difference and are making a difference." 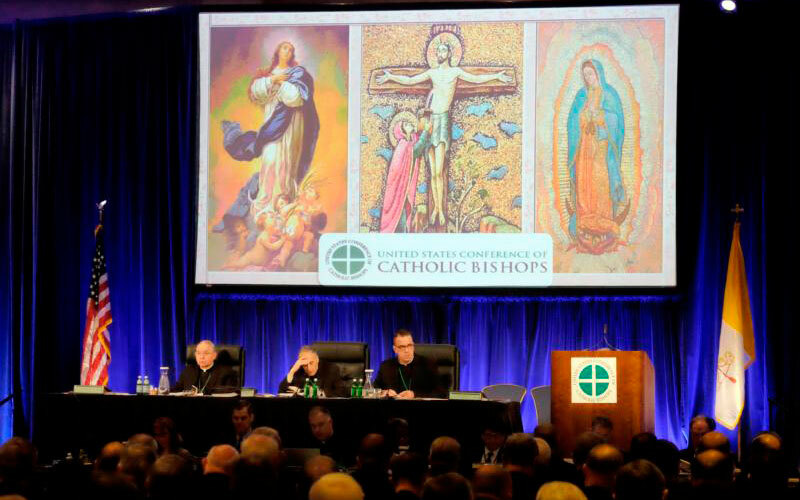 "We need to be bold, we need to be decisive, but we need to do that in a way that serves the unity of the church, not only with the See of Rome but also within the church in the United States," Archbishop Hebda said. He said that Pitt Green and Torres reminded the bishops of the urgency of the task before them. "This, brothers, is our moment to give it our all, to listen attentively to those who are hurt, to listen deeply with discerning ears and hearts to each other as we share the fruits of our prayer, the fruit of our discussion, the fruit of our experience. And to act in a way that convincingly shows our commitment to change." 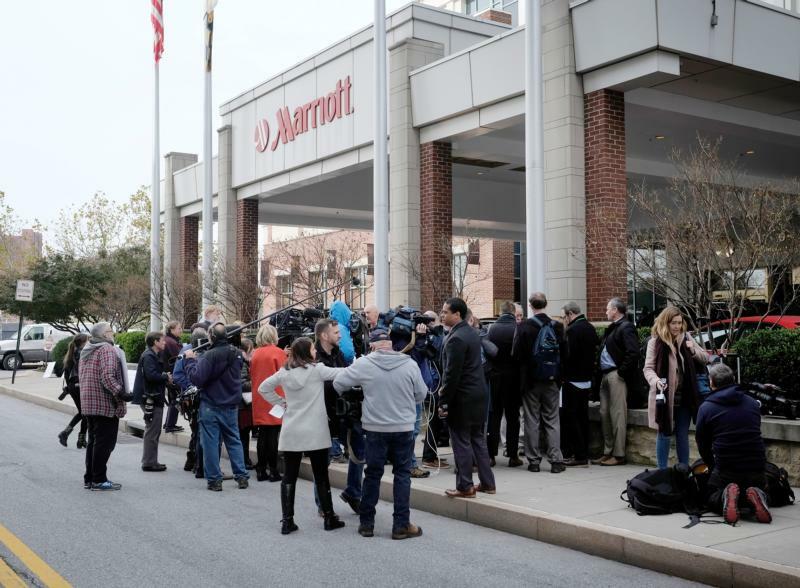 If they find the work ahead difficult, they should keep in their mind the image of Pitt Green and Torres and other victim-survivors who have shared their experiences with the bishops in the course of their pastoral work -- "the sheep for whom we, out of love, need to lay down our lives," Archbishop Hebda said. Appropriately, the Communion song for the Mass was "There Is a Balm in Gilead," whose refrain calls for making the wounded whole and healing "the sin-sick soul."